Last April Redemption Hill hosted its first Financial Peace University. With just over 20 people in the class, it was an amazing 9 week journey. When we started the class, as a whole we, represented over $400,000 in non-mortgage debt. Very few people in the class had or knew how to budget. 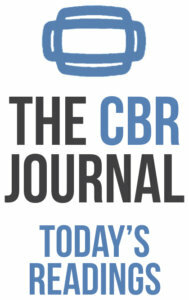 Many had numerous credit cards with large balances, car loans, and student loans. Stress related to money was a common theme. In just nine shorts weeks of applying the lessons taught in Financial Peace University, the class was able to pay off nearly $50,000 in debt and had saved nearly $20,000. There was a resounding sense among the class that they all had a much better grasp on how to get out of debt, manage their money, and better steward the resources God had given them. We’ve included a few of their stories below. 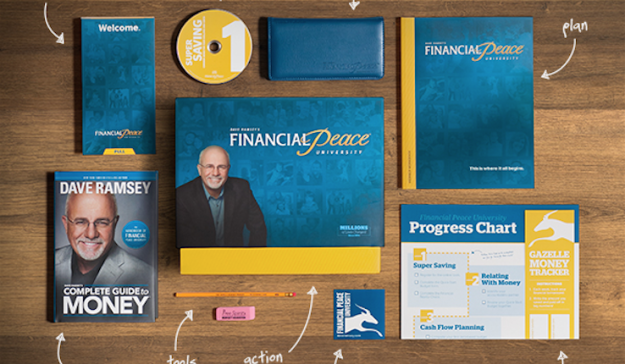 We’re excited to announce our next Financial Peace University class will be starting in just a few week! You can find more information and register here. The class will be Tuesday evenings at The Fourhundred, from 6:30-8pm and will be lead by David Moon. This class is for everyone — whether you are doing well or drowning in debt, a college student or about to retire. This class is designed to help you achieve your financial goals by showing you how to eliminate debt, save for the future, and give like never before. Ready to sign up? Click for more information and to register. We have had tons of victories during the 9 weeks of class. Some would be lowering our utility bill by over $300/mo by finding other internet/cable/phone plans. We have decreased our eating out and increased our eating at home nights. We have both cut and cancelled all of our credit cards. And together we have payed over $12,000 of our debt off in just 9 weeks! We have also sold a bunch of things in the house that we don’t need and have made over $600 doing this. We are THRILLED and can’t wait to start investing our money and saving for our children’s college and future. FPU gave my husband and I a framework for discussing money together. It put us on the same page and helped us figure out goals we wanted to work toward – together. Second, it approached topics of finance that seemed hugely overwhelming to us. We knew nothing about insurance or mortgage or investing. Finally, we started knocking big chunks of my student loans out because of the inspiration of the course! It started with calculating how much we needed to pay in order to pay our loans off by the desired date. The amount seemed impossible, but it was worth a shot for only one month. We budgeted, we figured out new savings systems, and were stunned when we went beyond our goal that month. This happened again a second and third month. Each month we don’t see how we’ll make it, but God provides in some way, and we always have more than enough! If we hadn’t taken FPU, we’d still be floating along, throwing spare change toward the loans but not doing any real damage. I feel especially blessed by the opportunity to have taken FPU today as I have had the misfortune of a flat tire and further car troubles. For the first time in my life I am not panicked because while seeing the amount owed still stings, I have more than enough to cover the expenses in my emergency savings fund. It feels good to be experiencing the true peace that comes from handling money responsibly and in God’s way. The class has really given me a sandal-footed kick in the pants, with regard to money. I often thought of wealth as evil, but the way Dave framed it as a means of being able to serve others really struck home for me. Since the class began I am over halfway to step one, and I now have no credit card debt! Register Now for our Next Financial Peace University!